For hundreds of years Christians have offered up thanks to the Lord for the bounty He has provided at table. Some graces are serious, others tailored to an occasion and light hearted. Catriona Monro's whimsical assemblage of graces ranges from the sublime to the ridiculous. 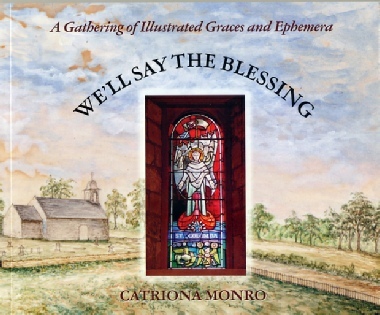 Beautifully illustrated and interwoven ephemera and comment We'll Say The Blessing is for everyone. The quirkiness of the collection will keep you at once interested and amused - and you might even come away better informed!